Congratulations, you’ve bought your first home! As a first time home buyer you’re undoubtedly aware of all the new, service-based responsibilities before you. You’ll need to create relationships with a security alarm company, secure a good plumber and electrician for emergency calls, and contract with the most reasonable heating service around. Did you know it’s equally important you connect with lawn care programs in Atlanta? Your home is more than just the structure you live in. Your property needs maintaining too. Call a lawn care specialist to learn about the localized benefits of caring for your lawn year-round. Of course, how your lawn looks is important. Your desire to keep a well-trimmed, soft, green lawn during the warm weather months is understandable. It creates an inviting space for the family to run through, lounge in, and eat out in, al-fresco style, all summer long. You may even want to ensure your lawn looks better than the neighbor’s at all times. Both are reasonable motivations for consistent lawn care, but don’t forget that how a lawn looks is indicative of its health. Much like our physical bodies, a stunning lawn speaks to its fitness down to the roots. If you only care for yourself a portion of the year, you are bound to have medical issues throughout the remaining months. Your lawn is no different. 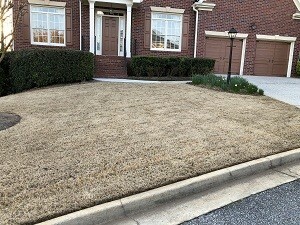 Year-round care at the hand of lawn treatment services in Atlanta, GA, ensures total landscape health. Hire lawn fertilizer services in Atlanta, and trust their expertly informed staff to care for your homestead. Simultaneously, you’ll feel great about your choice knowing that you’re also making a difference for future generations. Ensure the health of your lawn, your environment, and future generations when you work with lawn treatment services in Atlanta, GA, to care for your new homestead.